Re: Thoughts on Skyward Sword? I'm gonna sticky this topic, because I think it might come in handy some time in the future. The avatar is a render by ZeFlyingMuppet. I hope SS turns out to be a great game. The art style is... odd. But the good news it that my friend who could previously care less about Zelda now wants to get SS! Residence : Check your pocket. That's me on the dollar bill. I'm so obsessed with Zelda, most people that know me and don't play it will probably never play it because I'm so obsessed. I'm really excited, but if they're working on orchestrated music, I can wait forever for it to come out. 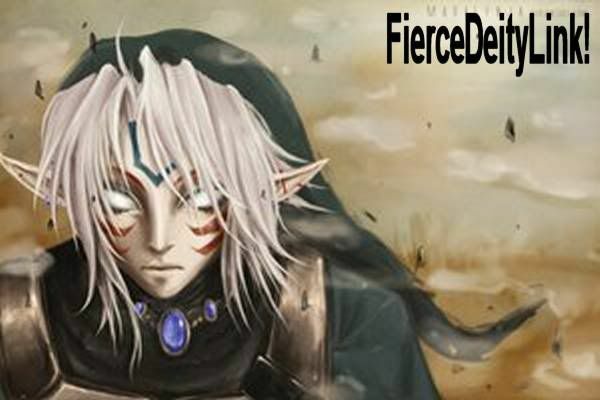 Residence : Body on Earth, mind in Hyrule. I want a Wii SO bad, and i'd only get it for SS, Brawl, and MAYBE a Mario game. I'm not sure why, but i can only take Mario in SMALL DOSES. Before he starts hurting my brain. Like once, I was playing Mario party 5 with my friend for like, 10 hours STRAIGHT, no food, bathroom or anything breaks, and I went ride home on my scooter, but Mario was so burnt into my brain and eyes, that I went to jump onto my scooter, missed, got my leg tangled up in the scooter, my other foot went under the wheel, and my face onto the ground. Mario is mindf***, I TELL YOU!!! Skyward Sword is definately gonna be a fun game. only i could suport that if i had a WII. But if you can get one, Brawl is a must have! And yes, SS will most likely be orchestrated! You are missing out, man. Brawl, Metroid Prime 3, Super Mario Galaxy, Twilight Princess, Red Steel 2, No More Heroes, Mad World, even Boom Blox, and that's just my first shelf, man. Plus VC and WiiWare... Wiis can sell for 80 bucks on eBay, now. But don't make the Admin feel bad... It's alright. I still play Wind Waker, you know. OMFG I love that they brought back the older stuff like the bomb flower and slingshot! My cousin was just playing my VC Ocarina since used Mario Party 2 destroyed my N64, and he couldn't beat Dodongo. I was like 'Idiot, put bomb here!' and pointed at the tv screen. He was like OOOOHHHHH now i seee!!!! I can't see getting one anytime soon. xD Dad's getting me a drum kit for Chistmas instead. LinkZeldaFan4 wrote: I can't see getting one anytime soon. xD Dad's getting me a drum kit for Chistmas instead. I hope by the time they announce Skyward Sword's online minigames (games where you can shoot your buddies to get their rupees that they got from that minigame; or a 'who can kill the most octorocks without a sword' game or stuff like that) you'd have a Wii . SS has been confirmed to have orchestrated music. Also confirmed is that the Master Sword girl is the Skyword Sword and will become the Master Sword. If Skyward Sword was postponed another year becuase they were working on orchestrated music, I wouldn't be mad. I am so freaking excited for meh muzak!